Comment: We're looking to improve the energy efficiency of our mid-century home. The attic space especially needs insulation installed. We'd also be interested in recommendations for other ways to improve the interior climate control. 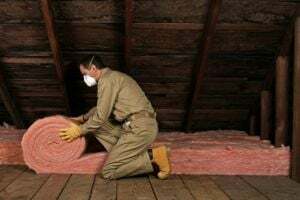 Comment: Clean attic, remove old insulation and replace with new insulation. Comment: West facing rooms are HOT. Require spray insulation to reduce heat. Comment: Planned re-roof 900 sq feet single family home. With roof removal we have a grest opportunity to get rid of old (maybe moldy) blown in fiberglass & replace it. I don't know which type would best fit the house/space/funcionality & re-roofing schedule. La Crescenta Insulation Contractors are rated 4.83 out of 5 based on 821 reviews of 10 pros. Not Looking for Insulation Contractors in La Crescenta, CA?